While the industry is buzzing about the Proposed Rule, let’s not forget about the imminent Discharge Community measure of the Impact Act. What are you doing to ensure your agency aces the Discharge to Community measure? While keeping your home health patients out of the hospital has always been a focus, now, under the Impact Act, you’ll be penalized if you don’t. We have predictive analytics technology that is proven to reduce readmissions anywhere from 26-36 percent. Not only that, we have another technology specifically designed to help you manage and better care for your recently discharged patients. Using this tool, providers have successfully identified 300 former patients in need of additional care and reduced post discharge rehospitalzations by 36 percent. 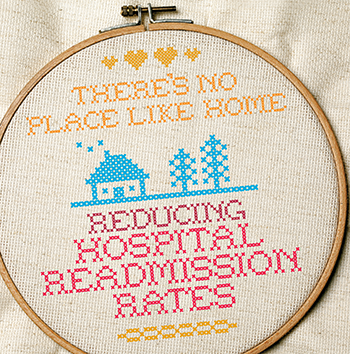 Home based health care organizations have long worked to reduce hospital readmissions. Now, the Discharge to Community performance measure adopted under the IMPACT Act requires that agencies also anticipate and plan to prevent readmissions after discharge from home health. 2017 Conditions of Participation for Home Health also emphasize comprehensive, patient-centered discharge planning. Nationwide almost 20% of patients discharged from hospitals are readmitted within 30 days. The Centers for Medicare and Medicaid Services (CMS) has made reduction of preventable readmissions a top priority for the Medicare program. Through adoption of performance measures, financial incentives, and financial penalties, CMS is increasing pressure on hospitals and partners along the continuum to adopt transition-of-care strategies that prevent avoidable readmissions. While readmission reduction is the focus, CMS is specifically calling for agencies to have a plan aimed at keeping patients out of the hospital post home health discharge. We have two solutions that are specifically designed for each of these objectives. Readmission reduction technology Touch predicts which patients on home health census are most at risk of rehospitalization and then deploys automated calls to follow up on that risk. As mentioned above, agencies like Encompass and Jordan are using this solution to reduce readmissions anywhere from 26-36 percent. Discharged patient calling technology Nurture predicts which recently discharged home health patients are most at risk for requiring additional care and then streamlines follow up with those patients. Agencies using this boast a 20 percent patient recapture rate and a 36 percent reduction in rehospitalization post home health discharge. Additionally, with any readmissions reduction strategy, you must consider improving the care continuum. When patients are in the right care setting at the right time, they’re less likely to return to the hospital. That’s why ensuring your home health patients who could benefit from hospice care are identified and informed at the right time. We have an effective analytics solution for that too. End-of-life care technology Bridge predicts which home health patients are most likely to benefit from hospice care and then helps organize the operational steps required to facilitate a timely conversation. Agencies using this have decreased deaths on home health by 52 percent, decreased early deaths on hospice by 26 percent and increased total hospice days by as much as 528 percent. To win amid changing healthcare regulations, you must integrate analytics technology. It adds an additional dimension to your care decision making which leads to increased care quality and revenues and savings. Our home health clients who range in size from 300-80,000 census, experience anywhere from 10-40x return on their investment.